This is one of those recipes that is so quick to whip up! Most of us already have the ingredients on hand! It is not a very thick dip, but it is still very good!Also, I have heard Velveeta is a good substitute for the cheddar but I have always used the cheddar. 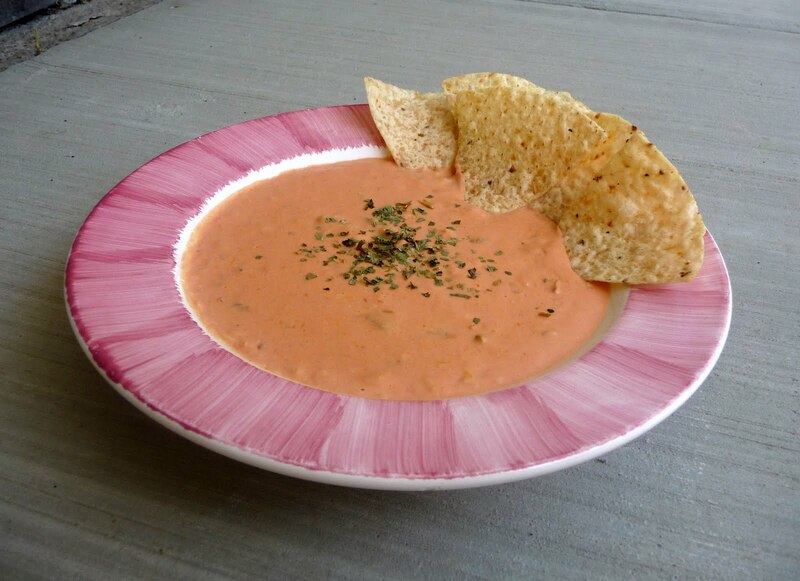 here is the recipe:EASY SALSA CHEDDAR DIP1 (8 oz.) block cream cheese2 cups salsa1 cup shredded cheddar cheeseMix all ingredients together. Microwave on high for 2 minutes stirring after each minute.Serve with chips or crackers.Enjoy! who needs tortilla chips! I'd eat this with a spoon! Yummo! Sounds similar to the yummy queso dip at my local Mexican restaurant. YUMMMMMMMY... will have to try this homemade version!!! Oh man, now I'm hungry! Let me know if you still need a blogger to fill in for you. Wow! I am making this tomorrow for Father's Day! We're having a cookout and Dad is grilling fajitas. This will go great with our Mexican meal plans! I am always looking for recipes. Thanks for inviting me. I'm excited to try this out. Who wants velvet when you can have the real thing anyway! Thanks for dropping by my blog, I am now your newest follower! I can't wait to look through some of these recipes I am always looking for inspiration! OMG...this looks fabulous! We will definitely be having this soon! Your newest follower from VoiceBoks! Keep sharing! Thanks! Thanks for stopping by my blog. I'm following you back now. I can't wait to check out more of your delicious recipes! I've been making this for 10 years now! Only I put it in the fridge after mixing everything together because I think it tastes so much better cold!